My mom IS the Coupon Queen. I'm being serious, you know the people on Extreme Couponing? She's like that. As a homemaker and mother of four, we have to save money. 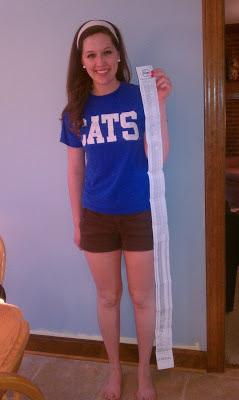 So she turned to coupons as a hobby and as a way for us to practically make money when grocery shopping. I can't tell you how many people have asked me how she does it: even when we were at the grocery store, a friend stopped her and was asking about it. 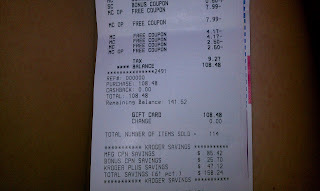 So this post is going to be a guide for all want-to-be-couponers, because it really is pretty easy. 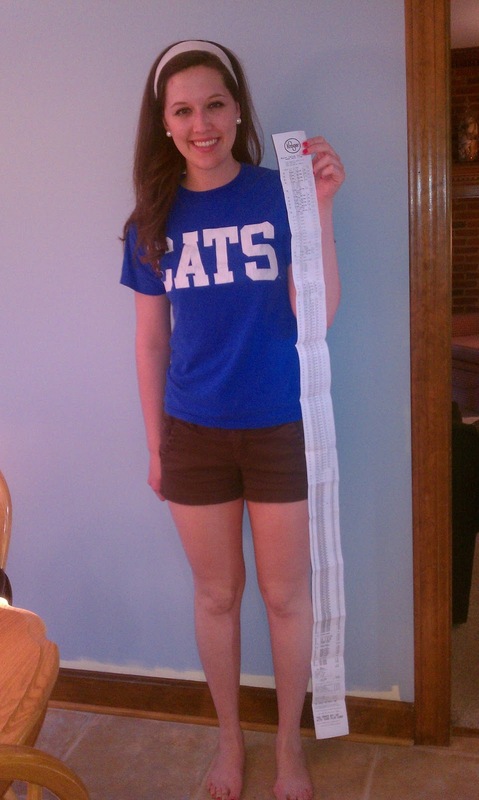 She clips her coupons at night when we're watching TV and goes to the grocery store with coupons about every two weeks. But, we're not one of those families that never goes to the grocery store unless we have handfuls of coupons (my mom just admitted that she goes almost every day or every other day for normal things). 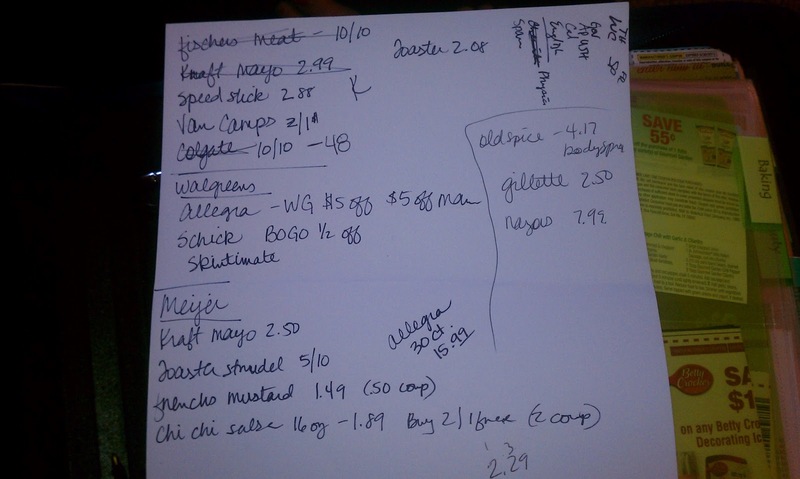 It should be noted that we got many things that weren't on our coupon list and that drove up our total cost (y'all know I like my coffee and yogurt), so it is possible to save a lot more than we did in this trip. I'll go through what we bought and how we did it. 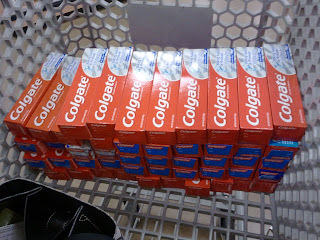 48 tubes of Colgate toothpaste: $0.00 per tube. My mom is a little crazy in that she bought the coupons for these on eBay. 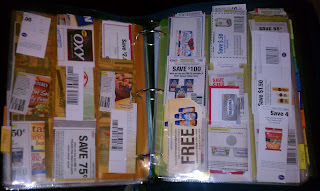 She paid about $4.50 for 60 coupons (in three different sets of coupons), and she had clipped some from our normal newspaper, so don't think that the only way to save money is from buying them online. 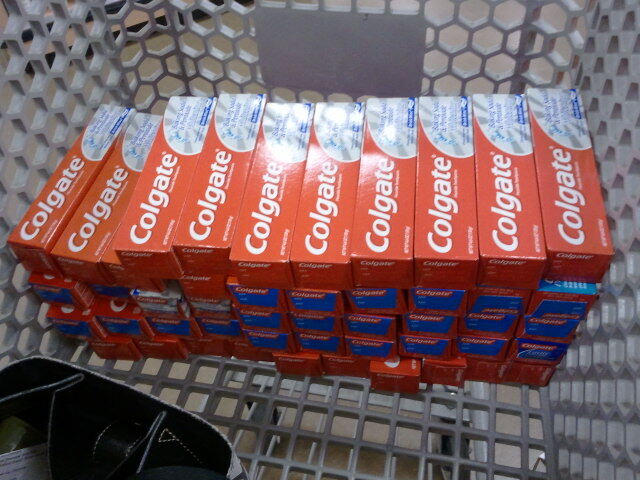 Being a family of 6, we go through a LOT of toothpaste, so whenever these are on sale and we have coupons, we stock up. Mom knew that these go on sale every other month, so that's why she found the coupons (they were mailed to her, they weren't online). So, these tubes of toothpaste were on sale at Kroger for 10/$10. 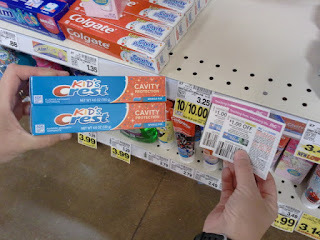 The coupons were $.50 off any (it's important that it wasn't a specific type) Colgate toothpaste, and they doubled ('double' means the grocery store will literally double the coupon up to $.50. In this case, it means that we got $1 for every coupon we had. But, only 'manufacturer's coupons' double, not coupons that come from the grocery store. It'll usually be clear which type it is.) With our 60 coupons (that doubled), we were getting $1 off each tube, and they were $1 to begin with: FREE. My mom had also clipped Crest coupons and didn't think they were on sale, but we found the Kid's Crest on sale for $1...we had coupons that were $1 off. Marta's Rule #1: Always carry all your coupons with you. We had two coupons that were BOGO (buy one, get one free) and two that were $2 off each can of shaving cream. 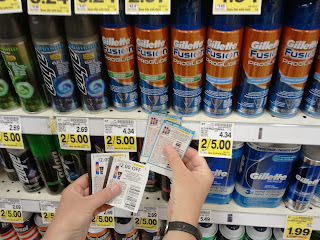 With the cans of shaving cream being originally $2.50 (on sale), the math figured to be $.25 per can. With two BOGOs, you're getting four cans, right? The two cans that you're paying full price for were paid for with the $2 off coupon. The math: 2.5 x 2= 5.00, 5.00-(2 x 2.00)=1.00: $1 for four cans=$.25 for each can. The coupons that Mom used for these were not from the same week. I mean, think about it. The grocery store isn't going to put all the good coupons in a week where the item's also on sale. Usually, if the coupons are in the paper Week 1, they'll be on sale Week 3. Marta's Rule #2: Save your coupons; don't feel like you have to use them right away. Watch for the items to go on sale. We wouldn't have bought this normally. 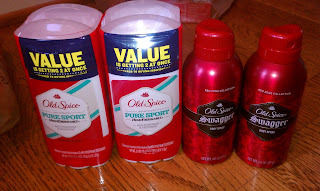 The coupon was 'buy one two-pack of deodorant ($4.69), get the body spray ($4.17) free'. We had two of these, and another two coupons that were $2 off purchase of any two Old Spice products. 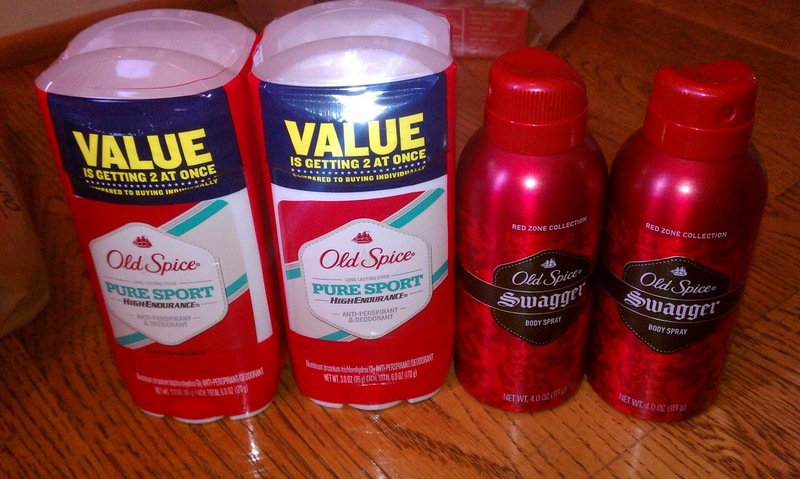 So, we paid $5.38 and got four tubes of deodorant and two cans of body spray. 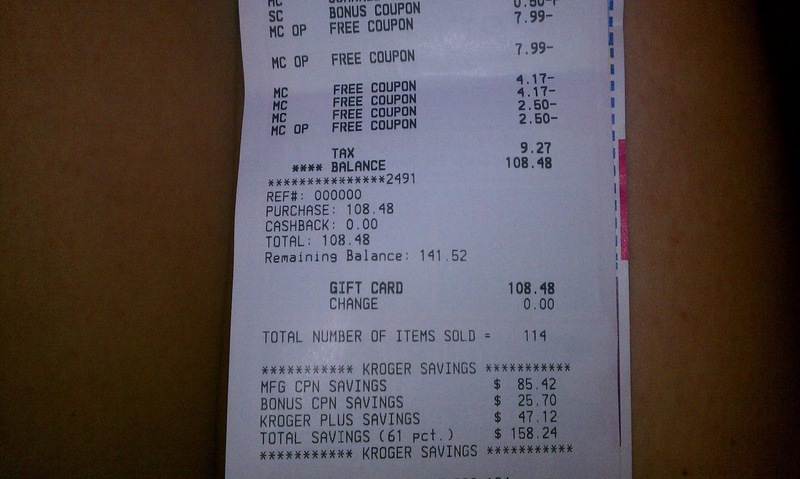 If you were to pay for that without coupons, you would pay $17.72, which means we had $12.34 savings! My brothers obviously don't need this much deodorant right now, but my mom knew that they would eventually, so she went ahead and got it. Marta's Rule #3: Even if you don't need it now, if it's a good sale and you have coupons, get it. I know that this can be all overwhelming at first, but this is an easy one. Mom had clipped three coupons that were $.50 off any Fischer's product (these coupons doubled- they were manufacturer's coupons and less than $.50). We went to the grocery store not knowing if they were on sale or if we would even get anything with these coupons, but we found hot dogs. Even though hot dogs freak me out a little (I'm still a vegetarian, guys), my family loves them, and loves them even more when they're on sale. They were 10/$10 and with three $1 off coupons, we got three packs of hot dogs absolutely free. Marta's Rule #4: Clip the coupons and look at the product the store even if you're not sure they're on sale. And heck, if it's free, go ahead and get it. This is another easy purchase! These cans were on sale for $.50 a piece and we had two coupons that were $.35 off (and it doubled). This means that we were getting $.70 cents off each $.50 can. So yup, that's right, we were making money (it goes to the rest of your purchase). This $.40 is little, I know. But when you get down to the nitty gritty, it's worth it in the end. Marta's Rule #5: Even if the product's inexpensive, use your coupons. It all adds up in the end. 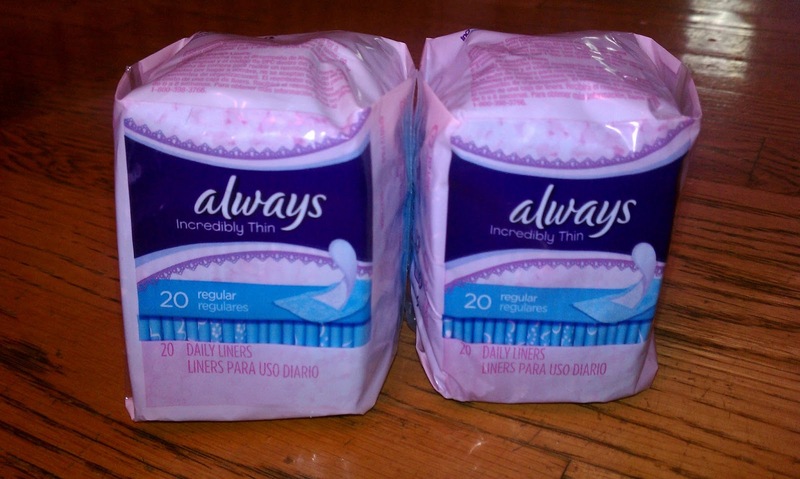 Yeah, I know it's feminine products, but there are always saving in this area (we'll never be running out). We had two coupons that were $.50 off that doubled, so really, we had two $1 off coupons. The Always Thin pantiliners were 10/$10, so we got those free. There are so many reasons that one wouldn't need pantiliners, so I get why this may be a little unnecessary. But I have a strong heart in the fact that it's so easy to donate these sorts of products to people who truly need them. Marta/Meredith's Rule #6: If you don't have a need for something but you can get it free/practically free, just get it and donate it to a food bank or other organization. Kroger Deluxe ice cream: Usually these are $2.99, but we had an in-store coupon for $.40 off. The point of this isn't the savings, but that we got these because we shop at Kroger so much and they'll mail us coupons based on what we buy most frequently. Another use of Rule #1, always carry all your coupons because you never know when you'll have an ice cream craving. Nature Valley granola bars: My family INHALES these. 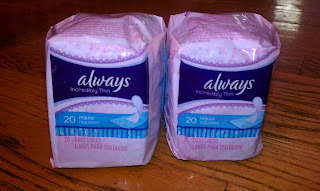 Kroger mailed us coupons for these and we saved $.80 off two boxes. Duncan Hines Frosting Creations: $1 off coupon let us pay only $.69 for a can of this icing (and heck, it's what I put on my Strawberry Cake Cookies!). The next rule is that when a product is new, jump all over it. My mom had seen an ad for these new 'Frosting Creations' where they were $1 off and on sale for $1.39 each. Marta's Rule #7: If a product is new, try it to see if you like it. If so, find the coupons and the sale right away. Diet Coke (or any other drinks): When both my dad and I were drinking it regularly, we went through Diet Coke like that. Even though it's just my mom now, it's still a staple in the Scroggin household. Mom waits for these to go on sale because when you're getting a lot, they add up! Normally, they're $4.99, but go on sale for $3 about once a month. That's the time to stock up, obeying Rule #3. Betty Crocker frosting: Some people get a little too anxious when they have a coupon. We had a $1 off coupon, but the tubes of frosting were $3.29. The coupon expired soon, so this wasn't worth it. Marta's Rule #8: If you don't think you'll ever use it and the coupon isn't a good enough deal, don't bother. Goodness gracious, I realize that I've written a ton! 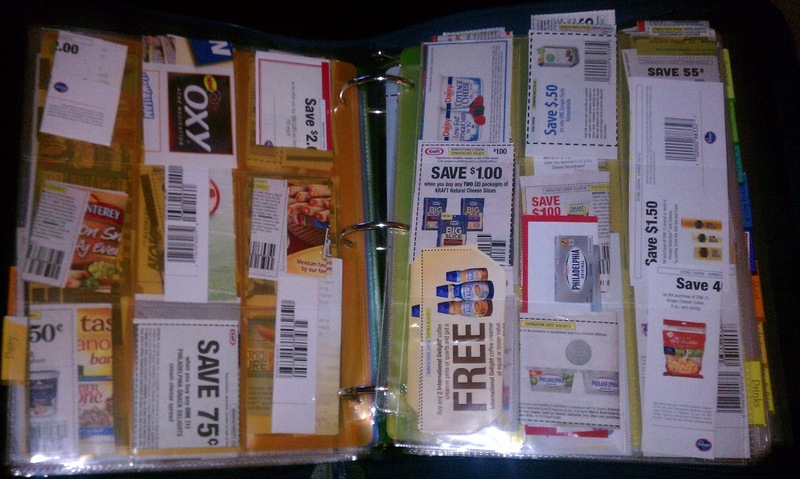 In following Rule #1, you have to stay organized with all your coupons. 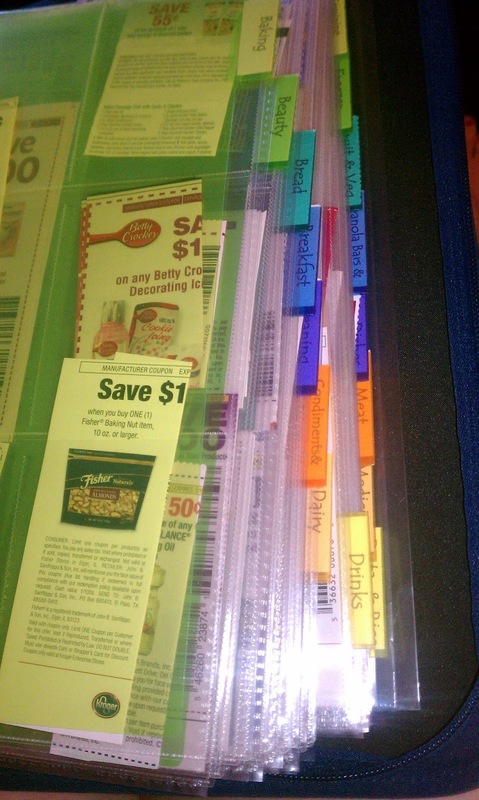 She keeps everything tucked away in divider tabs in a big binder that are separated out by category. They even have cute little pockets in them! Even though that's pretty big, if you don't want to go that far into it, use one of those small accordion folders. They sell them for $1 at Target and they're super cute! That's where we keep all of our restaurant coupons (another good place for savings)! This was our little grocery list and just Mom's way of organizing herself. Usually we shop at Kroger or Walmart, but when there's a good deal at another store, heck, go for it. My mom also is very into stocking up on certain things that she knows we'll need. These things include: toothpaste, detergent, feminine products, deodorant, other toiletries, pasta, salad dressings, medicine (medicine like Allegra and Prevacid can be extremely expensive, but we've been able to find great coupons on them and stock up- but only because we know we'll always need it in our house), canned goods, and soda. We always freeze many things for the future, including: chips, baking candies (hopefully I'm never running out of chocolate chips), frozen meals, cereal, and other various items that can be stored for a long time. Some of our other great savings have been on Vitamin Water, Crystal Light droppers, Capri-Suns, yogurt, sugar cookie mixes, and granola bars. I could write on and on and I know my mom could talk for hours about this, so comment if you have any questions at all! Always carry all your coupons with you. Save your coupons; don't feel like you have to use them right away. Watch for the items to go on sale. Even if you don't need it now, if it's a good sale and you have coupons, get it. BUY IN BULK. Clip the coupons and check them out at the store even if you're not sure they're on sale. And heck, if it's free, go ahead and get it. 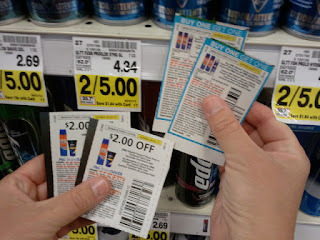 Even if the product's inexpensive, use your coupons. It all adds up in the end. If you don't have a need for something but you can get it free/practically free, just get it and donate it to a food bank or other organization. If a product is new, try it to see if you like it. If so, find the coupons and the sale right away. If you don't think you'll ever use it and the coupon isn't a good enough deal, don't bother. The things that are good to stock up on! Know your store's rewards policy and take advantage of it. I really hope that anyone who reads this is able to save a buck or two! Couponing may seem as if it's too big of a thing to handle, but there are so many little tips here and there that really stretch your money, without a lot of time. Couponing isn't even about people who need to save money, but rather, smart people who know how to spend their money correctly. I love couponing! I wish it worked as great here in Canada as it does in the States. There aren't any stores around here who double coupons and I think that's what really makes a huge difference!